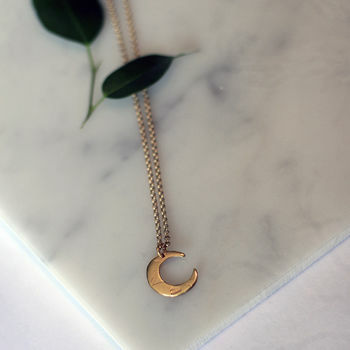 A simple handmade textured moon pendant. 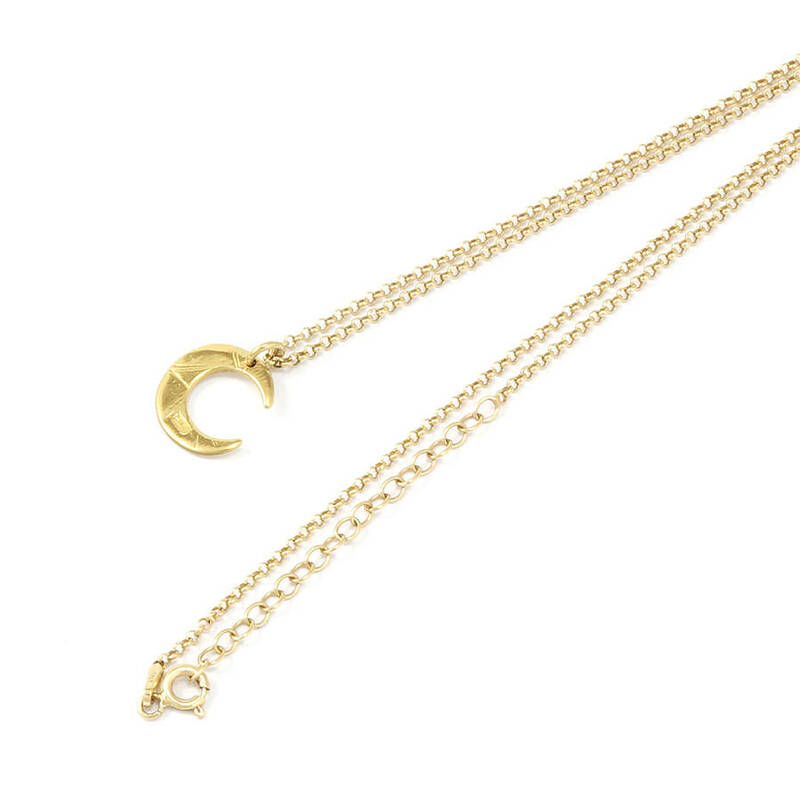 This is one of our most popular designs, simple yet striking! 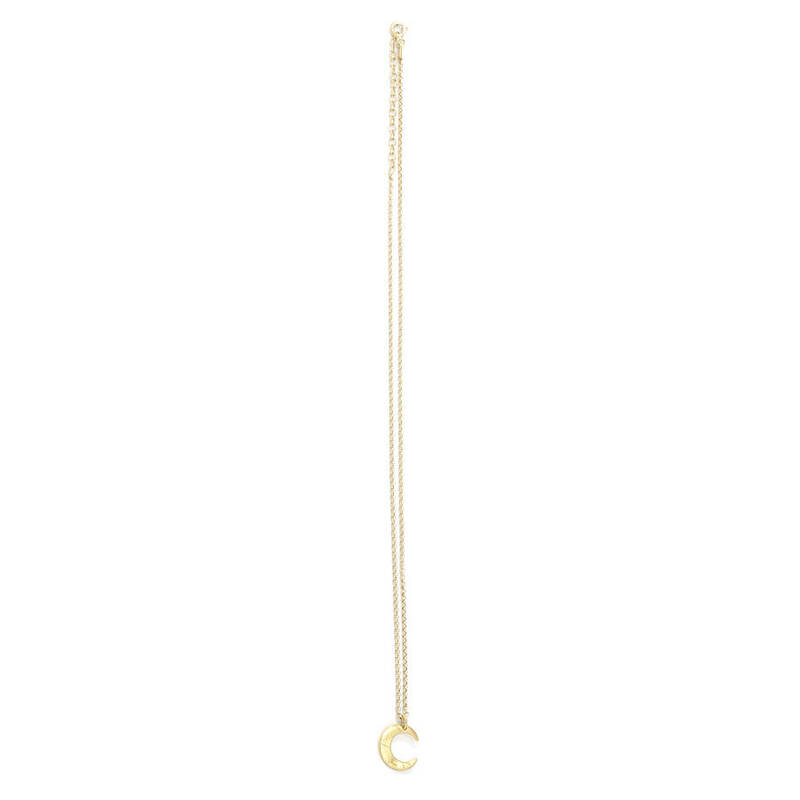 It has a shiny and textured finish and hangs on a simple trace chain. It's hallmarked with our distinctive maker's mark (AJ). 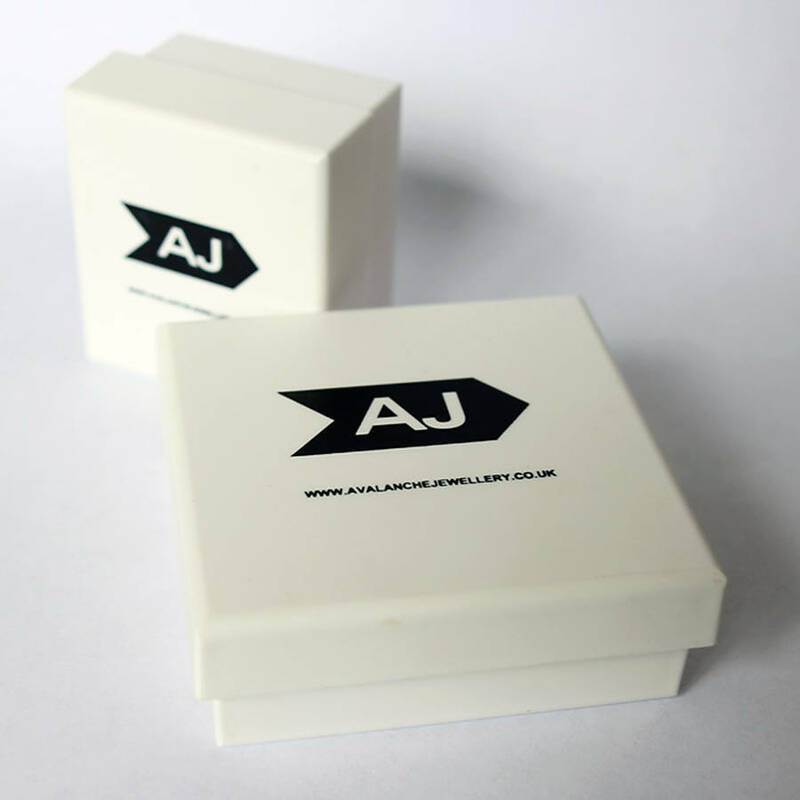 Each Avalanche Jewellery piece comes presented in our striking branded boxes. These are made from bioplastc, a new material made from a renewable plant-derived source. They're fully biodegradable although we're confident you'll want to keep hold of them! 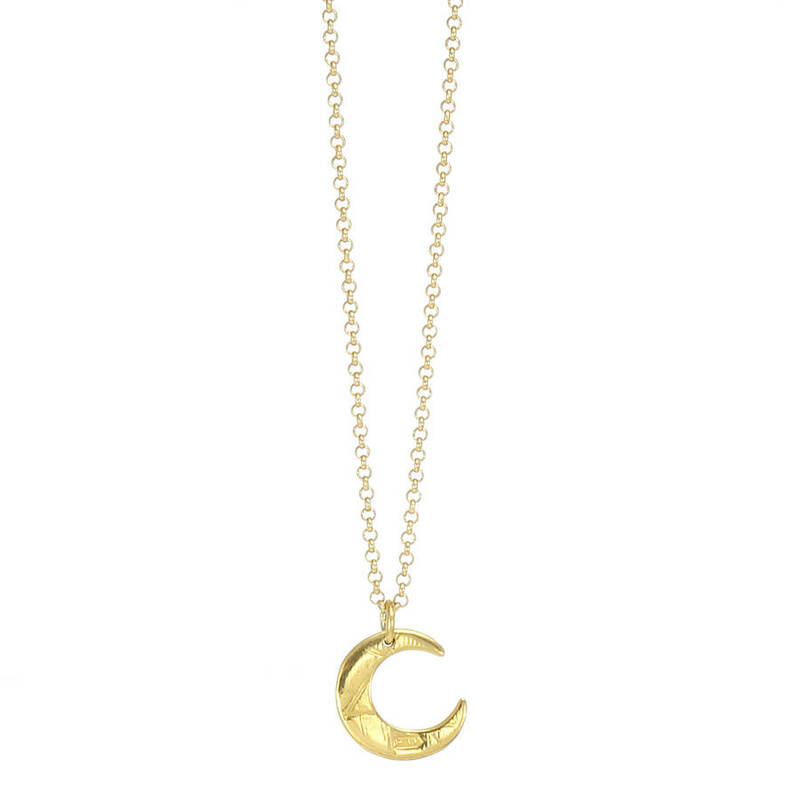 Handmade in sterling silver and plated in 24 carat gold. These have been handmade to the highest quality and must be treated with great care so that they remain in good condition. Excessive bending will cause them to break! Avoid wearing in the bath or shower or when exercising and keep it away from chlorine and bleach and other harsh liquids as these are likely to damage it. 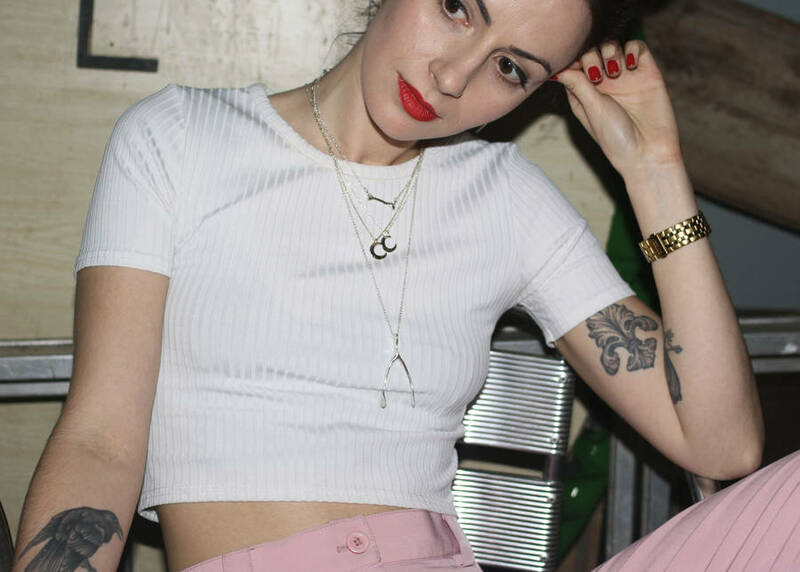 Over time it is perfectly natural for your jewellery to tarnish. Having said that, it will probably happen less quickly if it is being worn regularly. If it is looking a bit drab or tarnished, in order to bring it back to life again you can gently clean it in warm, soapy water. But do be gentle and always ensure you rinse and dry it thoroughly afterwards. You can also give it a quick dry polish with a soft dry cloth. Ideally, purchase a polishing cloth from a jewellery shop. This product is dispatched to you by Avalanche Jewellery.